Fancy yourself a bit of an off-roader? Like to go off the beaten path? Well, even if you’ve got the right tires and all the torque in the world, your car is going to have a rough time if you haven’t got the body work to protect it from the great outdoors. Think of your car as a tank, you wouldn't go into battle without any armour plating, would you? Here at Tarmac Sportz, we love all aspects of motoring, including rally racing, and Rally Armour are masters of this. Rally Armour have been manufacturing rally-grade protective plates and mud flaps for off-road obsessives since 2003 and we’re very happy to have them on board to protect the underside of our cars when we’re tearing it up in the mud. Their goal is to give car enthusiasts tough and durable protective parts that will keep both them and their car safe, and let them just get on with enjoying driving. At Tarmac Sportz, we’ll never sell you anything that doesn’t do what it’s been advertised to do, or doesn’t do it well. Rally Armour are so experienced in the production of mud flaps and they know exactly which materials will be durable enough to survive the tough life of rallying. Car tires can chuck up an awful lot of dirt, stones and grit that can really do some serious damage to your car’s under parts (or any vehicle behind you). The danger is multiplied by a hundred when you’re in the wilderness. There’s no point in mud flaps that don’t protect your car properly or fall apart after a couple goes around the back country. Rally Armour makes mud flaps for a huge array of different vehicles and makes including; Fiat 500, Ford Fiesta, Hyundai Veloster, Mazda 3, Mitsubishi Evo, Subaru Impreza, Toyota Rav 4, VW Golf. Their mud flaps come in a variety of different ranges, too. The UR range specialises in extremes; lowered vehicles, tough ground and extreme wintry environments. Constructed from urethane, a UR mud flap stay flexible (but not floppy) and won’t get hard or brittle, or curl up and crack, in a variety of conditions, unlike standard plastic or vinyl flaps. Urethane flaps are the most widely used in motorsport because of these numerous benefits. 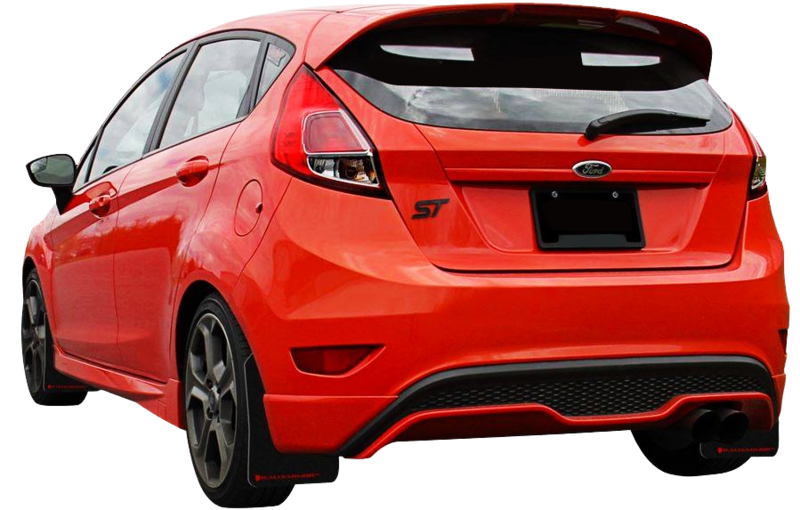 The Classic series is the original Rally Armour range of mud flaps, which has been in production for over half a decade, and is more suited to street racing, because of these flaps’ rigid nature. It works better on higher up or unmodified height vehicles. The Basic series is exactly what you’d expect. Slightly less performance, but with a price tag that more than makes up for it. It’s also very light, so won’t be a drag on your vehicle’s performance. All of the mud flaps come in a variety of colours, because both Rally Armour and Tarmac Sportz know how essential it is for drivers to customise the look of their car, even down to the mud flaps. It’s a fantastic range that we’re proud to have on show - please have a good browse through.